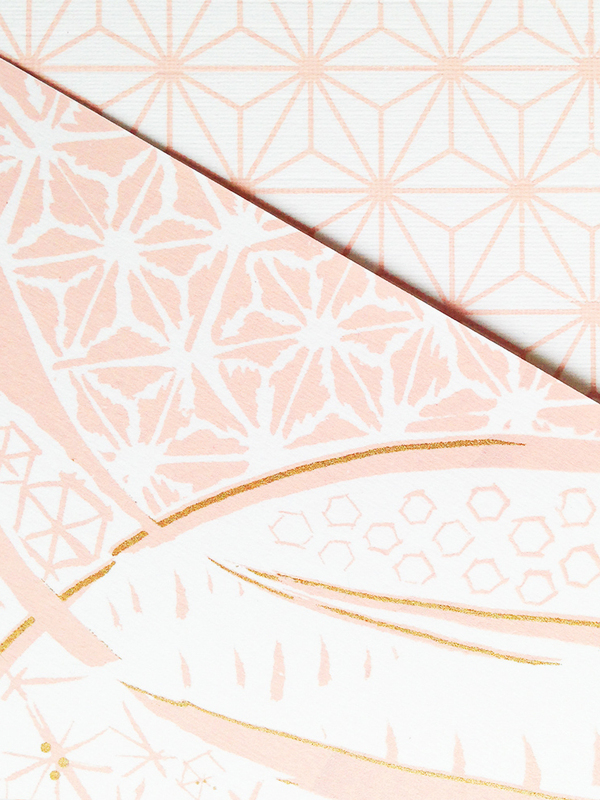 A soft pink and bronze screen printed folded invitation for a Japanese wedding. 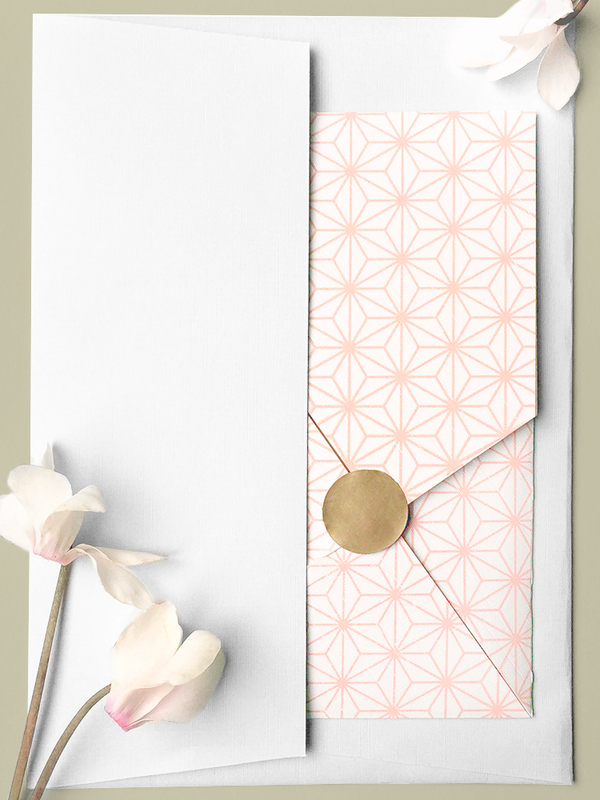 We used a traditional Kumiko Japanese pattern for the outer face of the envelope with a more organic and free flowing interpretation on the inside. The two colour design was screen printed on to 300gsm white linen textured card, folded by hand and sealed with a hand painted bronze dot.